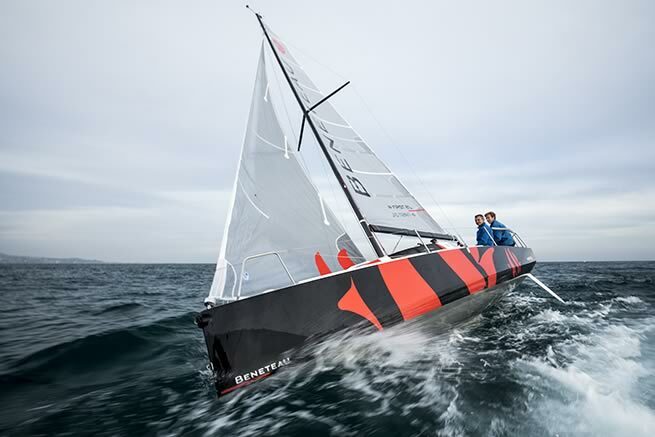 Created by Beneteau thirty years ago, the First range still shows incredible vitality. Through the years it has continued to lead the market and establish new trends and directions with its capacity to innovate and set new style through superb design. With a renewed vision for performance the First range creates a perfect blend of elegance od design, comfort and performance. Designed for performance, the First range makes no compromises to safety or seamanship on board. The choice of materials and the manufacturing processes use the latest technology and make it possible to combine durability, lightness and ergonomics. The deck and cockpit layouts are configured to combine ease of movement with practicality, but also comfort and design flair. 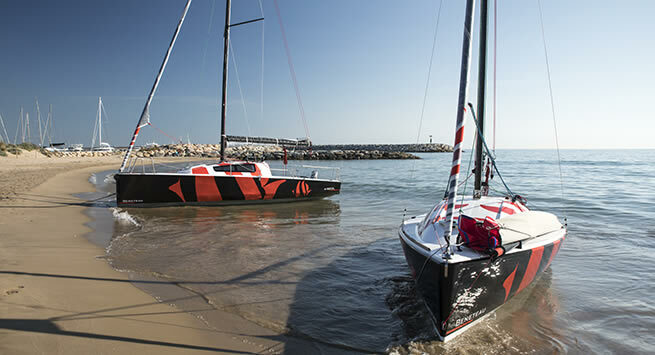 Equipment is sourced from the worlds leading suppliers and rigs and sailplans to maximise power with ease of handling. Designed with flair, First are yachts for those seeking beauty and designed as thoroughbreds which is apparent under sail or at rest at anchor. The worlds leading designers have demonstrated their skills over the years with the Firsts elegant lines and strong character. An elusive combination of luck, passion, and an urge to take on new challenges brought us together to discuss a question that is both simple yet complicated in terms of the solutions required. How can we combine the vision and know-how of two very different brands in terms of history, culture and scale, to offer the best possible sailing experience? We quickly figured out that it would take more than boats to live up to our intentions. We will have to work on creating a completely new ecosystem: from the sailing interface to digital learning applications, including special events and, of course, races. In addition to our new range of boats, it means successfully creating new content and services, essential to creating a new experience. 2008: First 45 Wins "Yacht of the Croatia Boat Show"
Our head office is open seven days a week please contact us if you would like some advice about any aspect of buying a new Beneteau or if you would like to arrange a viewing of a particular model.